• 06 Nights’ Accommodation • Daily Buffet breakfast • All meals at Sasangir • Air-conditioned Car for Sightseeing and excursions as per our itinerary. • Gandhi Ashram: On a quiet peaceful stretch of the Sabarmati river, Mahatma Gandhi set up a simple retreat in 1915. This was his Satyagrah Ashram and for many years it was the nerve centre of India’s freedom movement. It was from here, in 1930, that Mahatma began his famous Dandi March to the sea to protest against the Salt Tax imposed by the British. Hridaya Kunj, the simple cottage where he lived, is now a national monument and preserved as it was during the Mahatma’s life-time. • Jumma Masjid: The Friday mosque was built by the city’s founder, Sultan Ahmed Shah, in 1423. Built of yellow sandstone in an architectural style that combines the best of Muslim & Hindu traditions. It stands on 260 pillars that support 15 domes at varying elevations. 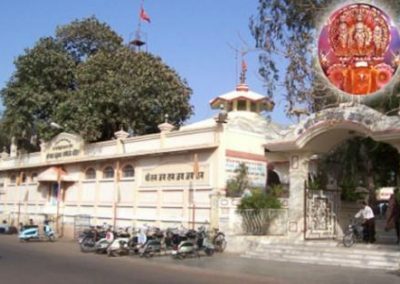 Bala Hanuman Temple : Bala Hanuman Temple is a pilgrim place venerated by the devotees of Lord Rama. It is a world famous temple, known for the continuous chanting of Jai Ram, Shri Ram. The chanting is going on since 1964 and has found a place for it in the Guinness Book of World Records. People chant the name of the Lord in shifts, 24hours a day Overnight at Jamnagar. DWARKA : One of the principal pilgrimages of Hinduism is at Dwarka. Legend says that Lord Krishna moved to this coastal town to set up a capital city. Marine excavations off the Dwarka coast have revealed important evidences of tour ancient cities, which probably include the Dwarawati of the Krishna Lila. Today, it is not only a major pilgrimage site but a pleasant spot for a beach holiday. The multi pillared sabha mandapa leads to a 60 pillared sanctum sanctorum (Holy of the Hollies) that dates back 2500 years according to the scriptures. Afternoon visit Nageshwar and Bet Dwarka . After breakfast we will once again visit the Dwarkadheesh Temple (Jagat Mandir). Jagat Mandir, with the presiding deity of Shri Krishna known as Dwarkadheesh . • Nageshwar Mandir: temple situated towards Okha dedicated to Lord Shiva and houses one of the 12 Jyotirlingas in an underground chamber. We will then visit Gomati Village, Gomati Talav and Gomati Mandir. Overnight stay at Dwarka . Morning after breakfast after drive to Sasan Gir, en route visit Bhaluka Tirth & Triveni Ghat.